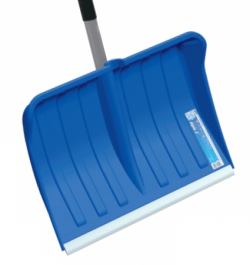 At Snow Shovels UK, we have a wide range of toboggans and sledges to meet your requirements. We have a range of Toboggans and sledges to suit everybody this winter. We recommend that all toboggan / sledge riders wear helmets, especially children. We have a wide range of sledges and toboggans which start at only £4.99, but if you feel like splashing out this year for a really nice looking top of the range sledge, think again! and check out our low cost high performance range including Kid, Snow, Speed and Big manufactured to the highest standard and competing with even the top of the range sledges. These simple but sturdy and great for a bit of fun. Suitable for children and adults, light and small enough to pack in a backpack for that winter break. The Kid sledge range offers good snow sledge fun which will give a quick slide for most users. The snow sledge has been very popular with children, the toboggan has a 65cm diameter. The UFO toboggan also has a hand break for add safety, with the helmet above you are kept safe and looking cool in the snow. The Big sledge can accommodate 2 riders and is fantastic fun, a big hit amongst children and teenagers alike. UK sledges have never been so good with this great model. Designed for high speed, the Race sledge is great for the more experienced sledger or teenagers. Supplied with two steering/brake handles to control speed and direction, why not upgrade now!! !